In 1955 one man’s dream came reality. It is the last 60 years that have shaped the Disneyland Resort into the magical place we know today. Beginning May 22nd Disneyland will be rolling out special events, giveaways, and product in anticipation of the Diamond Celebration. This is a time to recognize Disneyland’s present, past and future. 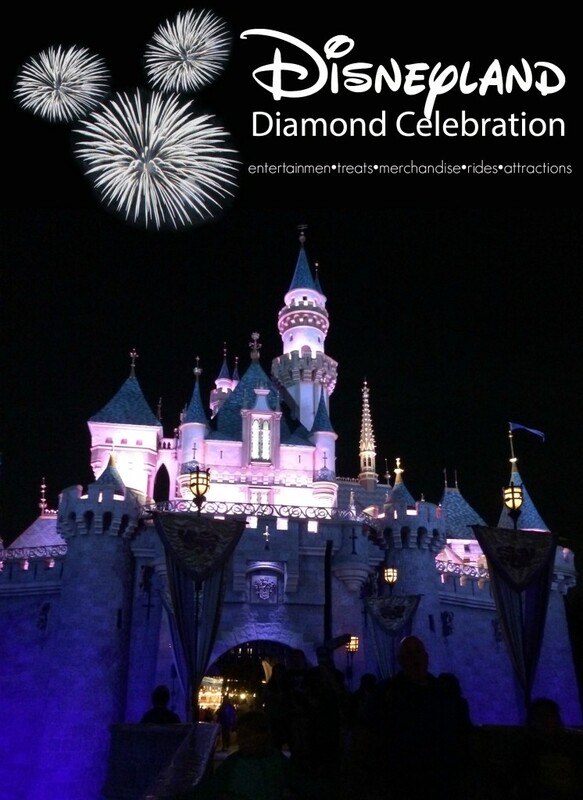 Here’s your unofficial guide to the Disneyland Resort Diamond Celebration! The night lights up with this special parade. 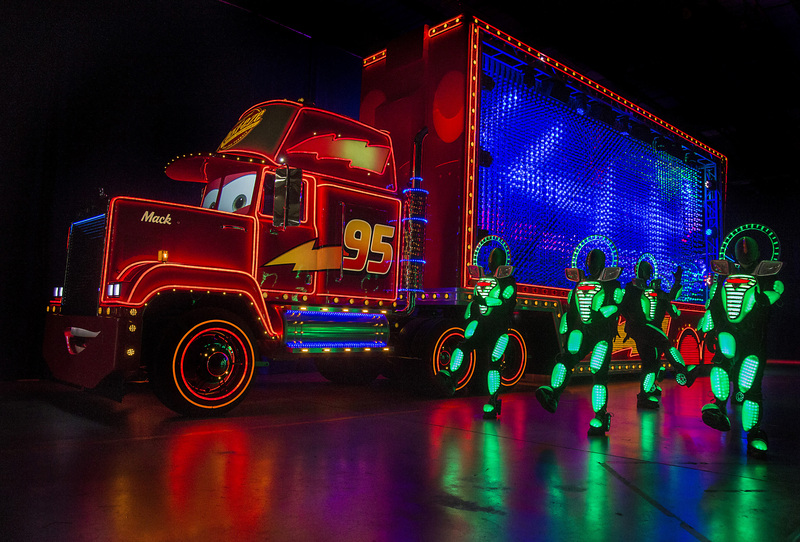 Performers and characters will float down Main Street with over 1.5 million LED lights. Mickey leads the parade as a grand master of ceremonies, using his vivid imagination to “Paint the Night”. You’ll see characters from your favorite movies like Lightening McQueen and Elsa! Keep an eye out for a few tributes to the original nighttime Main Street Electrical Light Parade, including a new drum float to lead the parade, a hint of the music, and at the tip of Tinkerbell’s wand a light from the original parade. Disneyland is known for its spectacular fireworks. From snow falling on Main Street to laser lights and magical projections. This fireworks spectacular is nothing like you’ve ever seen. 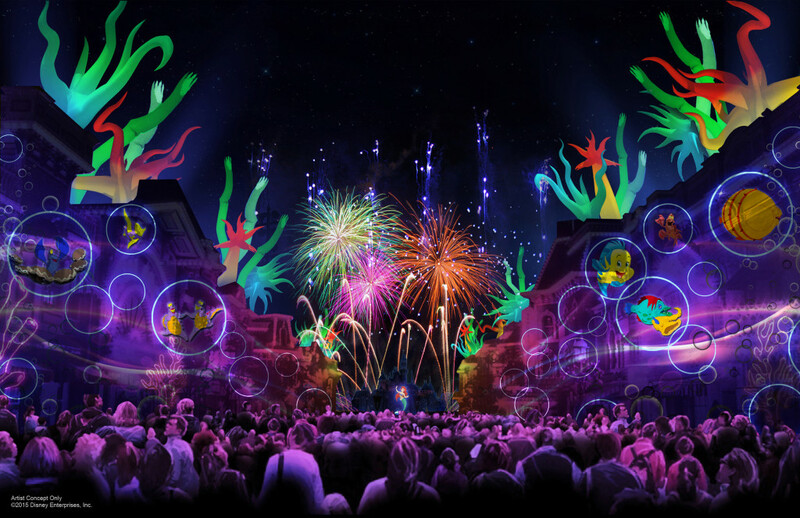 A completely immersive experience Disneyland Forever takes the show from street to sky. Depending on where you are standing in the park your experience will change. And in true Disney style the show will boast two new original songs. Mickey and award-winning actor Neil Patrick Harris team up to present this special nighttime show. Follow along as a dream becomes reality. A magical water canvas painted with dreams of tomorrow and the legacy of Walt. Come along and share in the story of The Happiest Place on Earth. A special sweepstakes starting May 22nd for resort guests with daily and weekly prizes. Weekly prizes include: 1. one-carat, authentic diamond, custom engraved for Disney, paired with a stay in the Disneyland Dream suite. 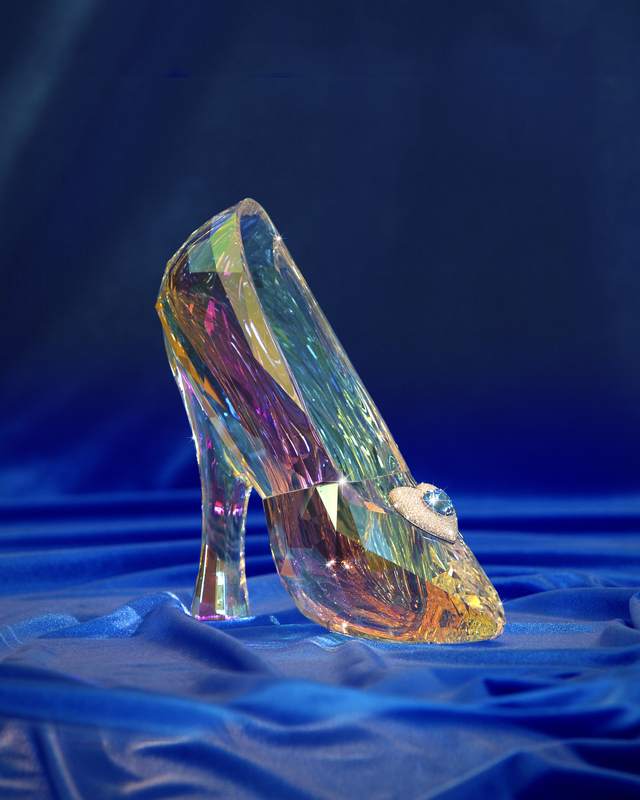 2. a clear, crystal Cinderella slipper, with a diamond-and-topaz pendant 3. private experiences in the park such as a party in Fantasyland or a romantic cruise aboard the Mark Twain Riverboat. Daily prize package include an individualized tour of the parks with dining, preferred access to select attractions, and VIP viewing at some of the dazzling, new nighttime spectaculars. *Daily prize winners must be present on the Disneyland Resort premises at the time of entry and at the time of prize redemption in order to be able to enjoy these special experiences and theme park admission is not necessary to enter or win the sweepstakes. 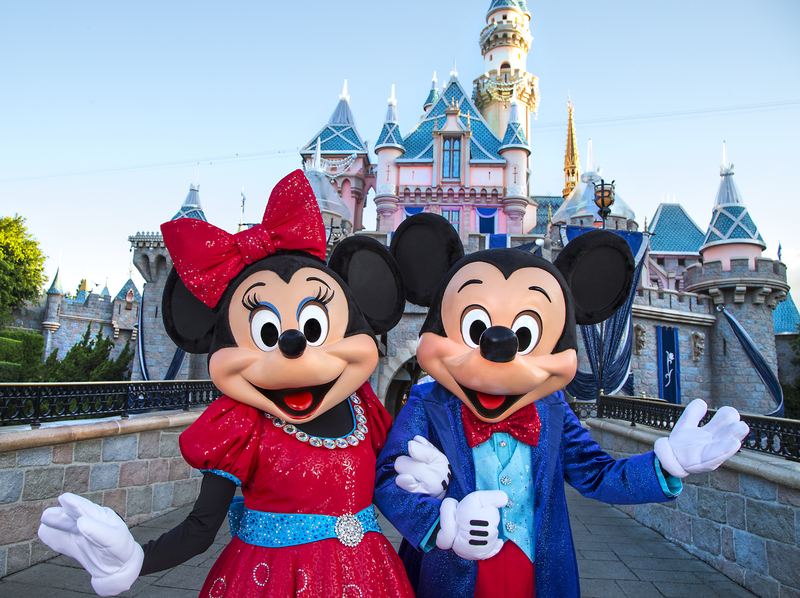 Mickey Mouse and friends are ready to celebrate with sparkling, new Diamond Celebration Costumes. Carthay Circle Theatre and Sleeping Beauty’s Castle also get the royal treatment with gleaming veneer and diamond medallions. 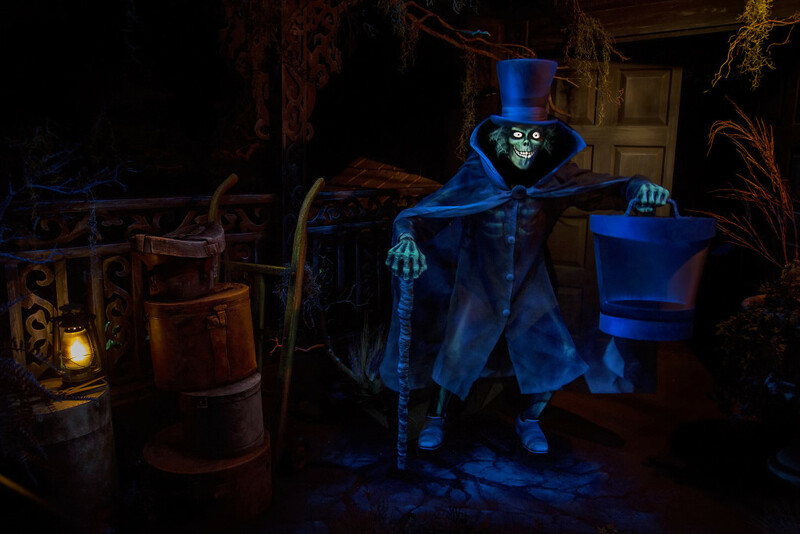 Haunted Mansion- The Hatbox Ghost will materialize again in a new imagined portion of the Haunted Mansion. Find him just before the descend into the cemetery. Peter Pan’s Flight- New special effects have the attraction sparkling with life. 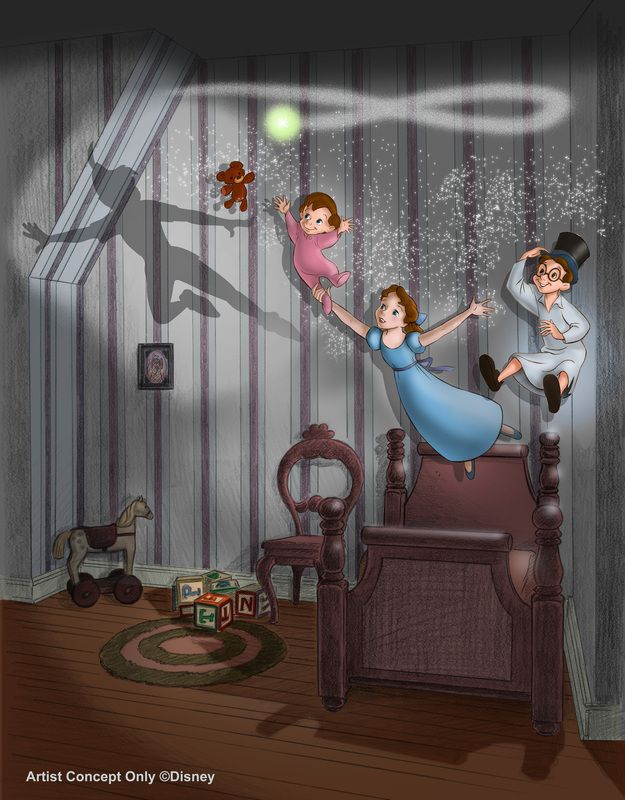 The nursery scene has been reimagined to include Tinkerbell sprinkling the children with pixie dust. 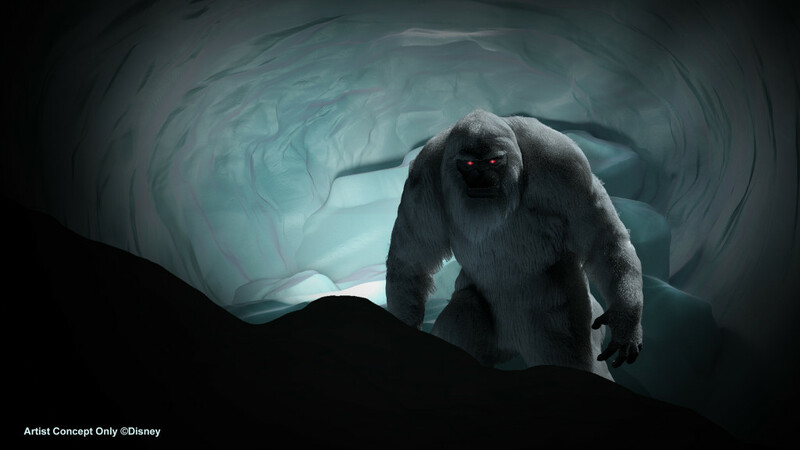 Matterhorn Bobsleds- The Abominable Snowman gets a more exciting and ferocious makeover. A new scene has been added as well, revealing more about the scary monster in the mountain. Grizzly Peak- The former Condor Flats has been taken over expanding the Grizzly Peak area. A new restaurant, Smokejumpers Grill, opened in March. This area opened last week, and includes cool and shady pine trees. California Soarin’ is getting an update to the screen and projection system. Over 500 unique items have been created especially for the Diamond Celebration. Find apparel, accessories, art, collectibles, headwear, home décor, jewelry, pins, souvenirs, toys and more throughout the Disneyland Resort, California Adventures, and Wide World of Disney in Downtown Disney. We received a special Diamond Celebration Made with Magic paint brush at Disney Social Media Moms. You’ll be able to add your own magic and “paint the night” with these special toys. For those that enjoy making food apart of the experience, many special selections will be available during the celebration. You’ll find cupcakes at Jolly Holiday, Diamond Celebration crispy treats, caramel corn & cotton candy. New Disneyland 60 souvenir containers will boast classics and new specialties. The magic begins with a special 24 hour Disneyland event (5/21 6am to 5/23 6 am). Come kick off the Diamond Celebration and see if you can stay up all night. There will be special “Up all Night” merchandise and treats on top of the new Disneyland 60 offerings. Join in the conversation using #Disneyland60 on Twitter, Facebook and Instagram. SPOILER- a preview of the new Diamond Celebration fireworks, Disneyland Forever. Copyright © 2019 Eclectic Momsense· Site Designed on Foodie Pro Theme. All Rights Reserved.